Alexander Gordon Smith is my Rockstar! Probably that Alex, the main character in Furnace, is actually based on me when I was a teenager. I went through a bit of a… let’s call it a “challenging” period! I fell in with a bad crowd, started hanging out at a biker bar, drinking, getting into fights. I was about fifteen or sixteen, and it quickly got worse and worse until I was stealing things from home and from school to sell. One night I got into a pretty bad fight, lost some teeth. Knives were involved. My family just said enough is enough – if I didn’t sort myself out then soon I’d be in prison, or worse. So I sorted myself out. I hated that life anyway, I was so relieved to be free of it. Writing about “me” – well, a version of me, anyway, because Alex is much cooler than I ever was – helped make Furnace the story that it is. Because I was so close to the character I felt every blow, every moment of terror, every glimmer of hope, I was locked up down there with him, the ghost in his cell. I was fighting to get out of there just as ferociously as he was. It was an incredible experience. That it’s okay to just be yourself, whoever you are. I wasn’t particularly happy at school, as a teenager anyway. I remember getting bullied because I was an overweight geek! But the times I was unhappiest were the times I tried to change myself to fit in with what I thought other people wanted me to be, the times I tried to be somebody else. I felt miserable, I felt like a fraud, like I’d surrendered the most important things about myself. Nowadays I see the “cool kids” from school and I ask myself why on earth I wanted to be like them, I wouldn’t be like them now for all the tea in China (and I love tea). I’m so glad and so grateful that, even though it was a struggle, even though I didn’t always fit in, I decided to just be me. It was that fight that made me the person I am today. Don’t let anyone ever tell you that you can’t be you. Don’t let anyone ever tell you that you have to change. Be yourself, be proud of who you are, know that you are amazing and unique, that there never has and will never be anyone else like you. That’s what being human is all about. Anyone who doesn’t like that can go take a long walk off a short pier. When I was at uni, a visiting author (I won’t say who) told us not to write horror, that horror stories (and children’s books too, outrageously) were beneath good authors. He suggested we write discerning, literary novels. It was the best piece of advice I ever received, because I totally ignored it. What a load of rubbish. I never need to defend writing children’s books, because children’s literature is the most important, and the most amazing, body of literature in existence (in my opinion! ), but I do often have to defend my love of horror to people. Horror is so important because it makes you realise what matters most to you. When things are at their worst, you really do see people at their best. When things turn bad, people fight tooth and nail for everything they believe in. They fight for their family, for their friends, for their loved ones. They fight for what is right, and what is just. They fight because they know they must. Heroism isn’t about defeating evil, it’s about standing up for the people you love. It’s not about being brave, either, it’s about always having hope. That’s something I learned, too, whilst writing my books. Horror makes heroes out of us. 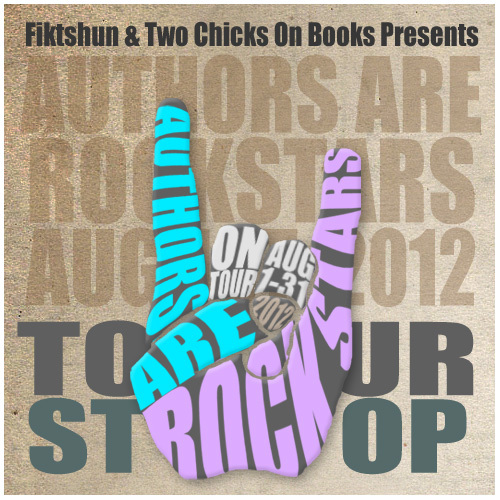 There are so many challenges out there, for new writers and published authors alike. Too many to mention here. But challenges is the perfect word for them, because they challenge you to write better, to try harder, to persevere when you might otherwise give up. And that’s the most important piece of advice I could ever give: Never Give Up. This doesn’t just apply to writing, it applies to everything in life. People are incredible, we can do pretty much anything we want if we set our minds to it. The only thing that can really stop us is that little voice in our head that tells us we’re no good, that we can’t do it, that we should stop trying. Ignore it! If you want something, go out and get it. Writing is like anything, though, it takes work. You can’t just wake up one morning and write a book, the same way you can’t just wake up one morning and run a marathon. You need to write every day, and read every day, you need to train. But don’t let anyone ever tell you that you can’t do it, and never let yourself tell you that you can’t do it either. Everyone can be a published author if they want it enough. So keep writing, keep telling the stories that you love, keep sending them out to publishers, and never, ever give up. For those who are unfamiliar with your novel; The Fury, how would you introduce it? A roller coaster ride through hell! :-) It’s basically the story of what would happen if one day, for no reason, the whole world tried to kill you. Everybody around you – your mum and dad, your brothers and sisters, friends, teachers, strangers in the street – tries to tear you to pieces. And as soon as they have, or as soon as you’ve escaped, they go back to their lives as if nothing has happened. They totally forget that you even existed. It’s basically a zombie book, but without zombies! I love zombies, they are my favourite horror staple, and I’ve been wanting to write a zombie book for years. I just couldn’t think of the right idea, an idea that hadn’t already been done, because so many people have written amazing zombie books and movies. Then one day I was thinking about the things that can trigger zombies – chemical spills, possession, reanimation, etc – and I just thought what if the thing that turns people into zombies is you? As soon as you go near them, they turn feral and try to kill you, and only you. It was one of those ideas that just leapt up and tried to bite my face off. What was one of the most surprising things you learned in creating Cal? I think it was actually Brick who taught me the most about myself. Cal is the guy I never was at school, the guy I wanted to be. He’s athletic, confident, funny, popular with the girls and boys. Brick, on the other hand, is the opposite of all that. He’s a loner, he doesn’t like people much, and people rarely warm to him. He’s angry all the time, with his friends, his family, and mainly with himself. I think he’s angry because he’s scared – he’s scared of people, of what even the simplest relationships can do to you. The anger is the thing I remember most vividly from when I was a teenager. I was so angry with the world back then because I couldn’t seem to control my life. I still get angry now when things spiral out of control – money or relationships or whatever – but writing Brick helped me see things in perspective. I would sit and talk to Brick while I was writing, trying to get inside his head, calm him down, and in doing so I could take control of my own emotions, I’d see myself the same way I’d see him, realise how ridiculous anger is. It’s a fascinating emotion, though. Anger plays a huge part in all my books, so far, especially the complex relationship between anger and power. The same reason I have to tell any story, really – to find out what happens! I don’t plan my books. For me, planning is cheating (although I should stress that there is no right or wrong way to write a book!) because you’re playing god, looking into the future. I just spend a long time with my characters, getting to know them as well as I possibly can. Then when I feel like I’ve been friends with these guys forever, I start writing. And I can’t stop until I get to the end, because I have no idea what’s going to happen to these people. I have to write fast just to keep up with them. I call it writing at the speed of life, because you really are living the story as you write it. For those who are unfamiliar with Daisy, how would you introduce her? Daisy was one of my favourite characters to write, ever. She’s just so real in my head. I think that’s partly because she’s based on my daughter, Lucy, who’s thirteen now, which made it a really interesting process. It made it quite scary, too, because when she was in danger I really felt anxious. It’s fascinating because when I started writing, Daisy was a very typical twelve-year-old girl, but the deeper we got into the terrifying events of The Fury, the more she began to reveal this immense inner strength. By the end of the story, when all is said and done, she’s the strongest character there. She is the one who leads the way. That was actually one of the comments I got from my UK editor, that they wanted Cal to be more of a driving force, instead of Daisy, because he would appeal more to teenage boys reading the book. But you know, I didn’t change it, because I think you appreciate that kind of character more – the one who is stronger than they look, who surprises you, not just the generic male action figure. I love Daisy to pieces because she totally surprised me too. I don’t, but I feel like I should. Any suggestions? If you could introduce Brick to any character from another book, who would it be and why? I’ve always got a few things on the go – I hate being bored! I’ve just finished the second book in the Fury series (there are two books in the UK, but they are being published together as one book in the US), which is another beast. I’ve just started another YA horror series, provisionally titled Relics, and I’m working on an adult horror novel too. Aside from the books, I’m writing some screenplays with my sister, Kate – we run a film production company together, called Fear Driven Films. All horror, of course! I’m trying to find funding for a new publishing company, called Inkling Studios, which I set up with my girlfriend and daughter last year. We’re hoping to start publishing some children’s books, and maybe even make some films too. Our slogan is ‘Every great story begins with an Inkling!’ Because we want to nurture new writers. It’s tough trying to juggle everything, but it’s all a lot of fun. Again, just be yourself. Never feel that you have to imitate another author’s voice or style to make your work commercially successful, you’ll just end up writing a pale shadow of whoever you’re trying to be. Have faith in your voice, and know that it will always change naturally, it will evolve with every story you read and every story you write. The same rule applies to writing as it does to life: you’re unique, nobody else has lived the same life as you, so nobody else will ever be able to write the same story as you. It’s the reason, I think, that anyone can be a writer, because everyone has got a story to tell. Your voice is amazing, never feel you need to speak with anybody else’s! Wow, that’s a tough question. I love to travel, especially around the US. I’ve had so many great experiences over there touring with the books – the people, the culture, the scenery. I think it’s impossible to give an answer to this, though, because each place you visit has something amazing about it, something unforgettable, something that totally changes you for the better. I’m hoping to visit every country where my books have been published – I’m planning a trip to Brazil next year, which will be amazing! I know every place I visit will offer something uniquely incredible. The best place in the world, though? Probably home. As much as I love to travel, there’s nothing better than walking back in through your own front door and being surrounded by your friends and family. My first, in McDonald’s! It was truly terrible, like slave labour. The one good thing about it was it made me realize how much I wanted to be a writer (and my own boss)! Actually I cry all the time when I’m writing, especially when characters die. You come to love them so much, and when bad things happen it’s unbearable, especially as you’re the one making them happen! A Special "THANK YOU" to these amazing Ladies: Rachel, Jaime & Patricia! 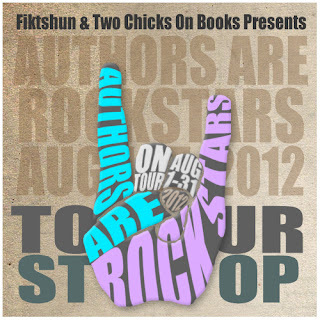 When I was signing up for Authors are Rockstars Tour, I wanted to write about an author I knew little about. Upon looking at the list, my eyes set on Alexander Gordon Smith. To be honest, I have never read any of his works and this tour presented me with the chance to get my feet wet so-to-speak. I navigated over to his website (Alexandergordonsmith.com) and to my surprise, his line of literary works are the types I usually read. I was truly intrigued with his works and upon learning more about Alexander; borrowed a copy, loved it and I was able to set an author interview with him on my blog! Thanks to Rachel, Jaime and Patricia for making this possible. I think Alexander Gordon Smith is a Rockstar because he truly is a writer. Not only has he authored books, he is also the founder of Egg Box Publishing, which is aimed at publishing and promoting new writers. He rocks even more because he is also the founder of Inkling Studios that concentrates on producing films, books, television programs and computer games for children and young adult. Rockstars are known to never sleep and with all of his countless projects in his hands, it is truly amazing how he is able to be productive. 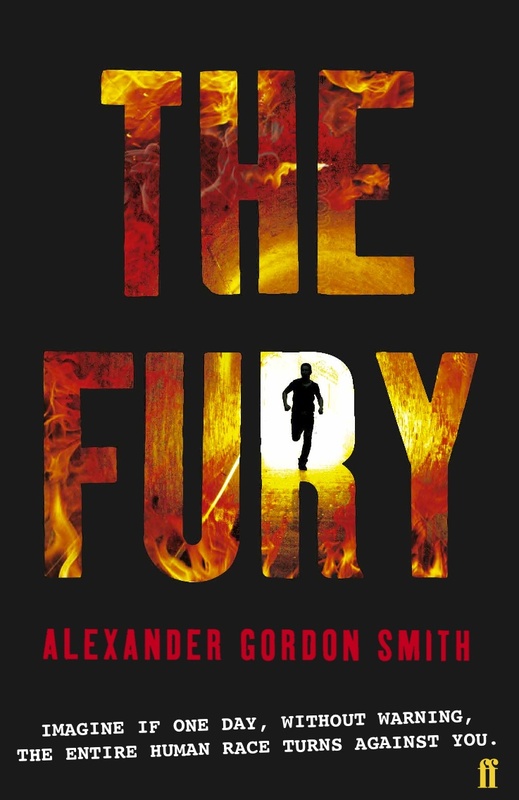 Alexander Gordon Smith is the author of The Fury-a story that will tap into the things that we fear the most. He knows how to use words and put them together in such a way that will leave readers in fright. He is skilled at taking something so familiar, in this case: zombies, and able to add his own wild imagination to create a new perspective that just blows the mind away. The highly detailed descriptive events within The Fury will play out in readers’ minds for weeks. Readers will be invested in his wonderfully sculptured characters that he carefully pitted them in heart pounding predicaments. The Fury is a complete tale of excellent writing. Although it is the first part of a two-part series, The Fury will satisfy readers to the bone. 1 Winner will receive a copy of Lockdown by Alexander Gordon Smith. I hate going out in the dark so Id say a 4. 3.5 :) Thanks for the giveaway. 1. Since living on my own for about 16 years, I have grown less afraid of the dark. It is more certain places in the dark that are scary than the dark itself anymore. This is like the best interview ever. I loved learning so much about Gordon and that Alex was based on him. And no, I have no suggestions as to an inspirational quote. But this author's books brought back my love of horror that I lost because I got bored of it after so many years. I can't wait for THE FURY here in the U.S. and, well, anything and everything he has to write. He is seriously amazing. And I did cry at certain points in ESCAPE FROM FURNACE and am terrified how it will all end. 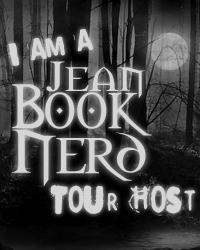 Great stop on the tour today Jean! Thanks for being such an awesome host. 1... maybe sometimes, but I'm not usually scare of the darkness! I haven't read like a reaaally Horror book! But I bet The Fury or Lockdown would be my first! ~About the dark question: I'd say 1 or maybe 2! Dark doesn't scare me, creatures in it, maybe! BEST INTERVIEW I've EVER READ HERE, wait... that's not exactly true but his answers are definitely THE BEST EVER EVER AND EVER AMEN! I've only read -not finished just yet- Lockdown, I'm missing like 28 pages or something to end it but all my body's pores suffered throughout the whole reading process...first horror book I read, and MAN was it horror, I couldn't even stay late in the living room because I got paranoid! Awesome!!! AGS is amazing! I love his books! Probably a 4, I've always been scared of the dark! How afraid of the dark am I....prob a 3, but if I feel like someone is watching me or getting the creeps its a 5!! I guess it's 3. It depends on where I am. If I'm in a familiar surrounding, I'm more at ease compared to unfamiliar one. I'm really not afraid of the dark so prolly 1. This is great, what a fantastic interview! I actually had not heard of this author (you can give me my lashes later), but now I'm VERY interested and will most definitely be checking out his books! 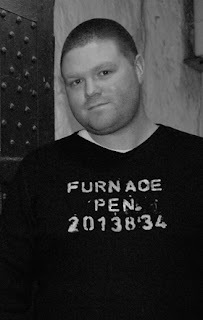 The Escape from Furnace series sounds fabulous and very much like something I'd like. So glad I stopped by for your tour stop! Woohoo! As to how afraid of the dark I am...I'd say only a 1 or 2. As someone else said, it's more about the place than whether or not it's dark. Most of the time darkness doesn't scare me or freak me out, but in some places...for sure. Depends where I am! Probably a 2 or 3 normally, but after a scarey movie? 5! It truly is important for teens to know that it's okay to be yourself! I just got out of high school and I am happy with what I learned and the person I came out to be. :) Great interview! I would say I am a 2 :) Thank you for the giveaway! it depends on whether i've seen a horror film before i go to bed ;) though normally a 1. i am not scared per se, but cautious in the dark. 1 - not afraid of the dark :) Thanks for the giveaway! 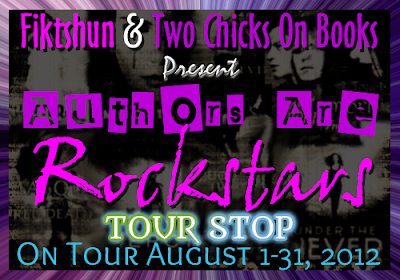 Awesome interview and great reason to do the tour stop!!! I'm in awe!! Thanks for hosting and having a great giveaway!! On a scale of 1 to 5 id say 1. Im not scared of the dark but whats could be in it. I think it depends where I am. When I am inside of building, I say it's like 4. But when I'm outside and I can see the stars and the moon, I say like 1.
scared as all hell!!! thanks for the giveaway!!! and great interview! !